The rock 'n' roll siblings have barely spoken since August 2009 after a backstage bust-up in Paris led to Noel quitting their former band Oasis, but Liam is confident Noel will like what he hears on Beady Eye's new LP 'BE'. The 40-year-old singer told BANG Showbiz: "I don't care about Noel. I'm not arsed. I'm not interested in him. I know our kid likes our band, he was in it for 20 f***ing years. I know he's gonna get part of it and I know he's gonna go, 'That's the b******s.' Do you know what I mean? More so than I'm going to get his thing. "I know for a fact - even though he'll never say it - that he's going to sit there and go, 'F***ing yeah!' He's going to dig us man." However, Liam is not so complementary about his brother's debut solo album 'Noel Gallagher's High Flying Birds', adding: "I couldn't have made his f***ing boring record." 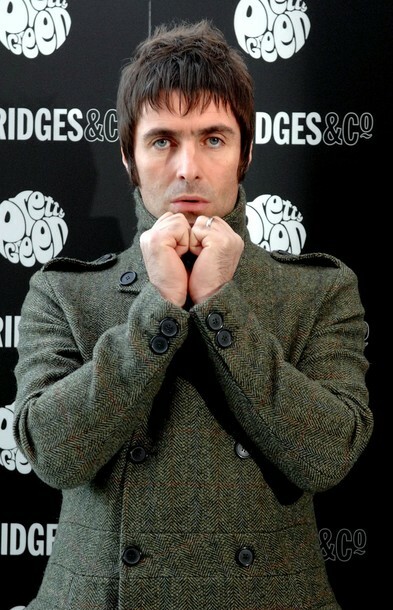 Liam has also accused Noel of plotting a solo album for a long time before Oasis split, and of wanting the group to end. He added: "He wanted the band split up. End of. And he was planning it for years. Because I heard it, him and his manager [Marcus Russell], I heard them planning it backstage at Bridlington spa. There was just bull***t going around. He'd been trying to get his little solo thing going for ages." Liam does admit he was hard to work with, but says that's simply because he is a rock star. "That's what we built our career on, what you on about? He is a conniving little b*****d. He's always wanted to be a solo star. It was always in his head." Beady Eye's second album 'BE' is streaming now on iTunes - visit iTunes.com/BeadyEye to listen - and is available to buy from Monday. The band will play an intimate show at London's Rough Trade East record store on Monday.